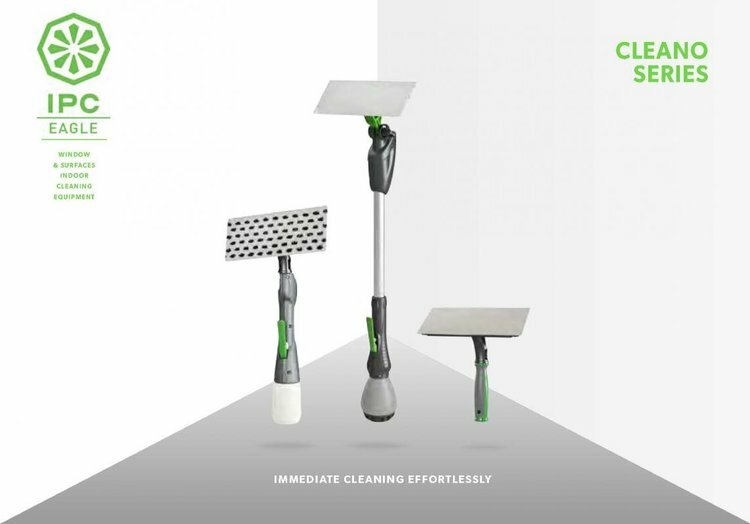 The Cleano comes in five sizes giving you the versatility to clean almost anything you’ll encounter. Represents a REAL Revolution in cleaning. A cleaning innovation; compact and complete measuring 12”. The Cleano is equipped with a handle, pad holder, solution tank with a spray system, all in one. For cleaning and sanitizing walls, fixtures, mirrors and doors. Environmentally friendly, no chemicals. Economical, eliminates chemical costs. Indoor Ultra Pure Water Cleaning System is for indoor glass and non-porous surfaces. Reaches difficult areas without dripping on or having to move furniture. Small enough for everyday cleaning but still reaching up to 10′ this versatile model is the perfect everyday indoor ultrapure water cleaning system. Perfect for those out of reach surfaces. Cleaning up to 15′ it’s quick and easy to use. Using our 25′ Carbon Fiber Composite Flip Lock Telescopic Pole you can reach up to 30′. Available as-is or in a kit form for those who already have our Quick-Lock Water Fed Poles. They are made of high-grade carbon fiber and reach from 5′ up to 55′. *Included with purchase is three pads. Use our Hydro Bottle Kit to produce pure water on the fly for your Hydro Clean. Please give us a call for pricing and questions about specialty products!